town-supported festival in Lafayette, Colorado. We are proud to be growing and strengthening this working relationship with this non-profit organization. 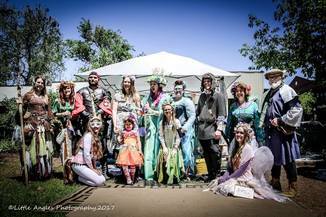 Since 2016, The Valiant Few and Little Angles Photography have partnered to bring wonderful photos from the Festival of Faerie (2016, 2017, 2018) and the Santa-Fe Renaissance Festival (2016). in our upcoming 2018/2019 Feature Movie & in specific---unedited & raw footage---can be found with our 2018 Teaser Trailers.